Flood Damage Protection for Municipal Buildings | The Voss Law Firm, P.C. Severe flooding can strike any town, causing millions of dollars of damage as standing water enters basements, public lands, and vehicles. While homeowners will look to their own insurance policies to collect payment, city and governments must fight to get coverage under their commercial insurance policies—all while trying to hold their struggling communities together. Attorney Bill Voss offers tips on selecting insurance options for municipal properties to cover the full cost of flood damage. Standard commercial property damage policies are usually limited in the amount they will provide for weather-related flooding—and some insurers will not provide coverage at all. For this reason, it is vital for those who run municipal governments and services to purchase flood insurance through the National Flood Insurance Program (NFIP). NFIP policies can be invaluable after a disaster, as they will pay for damage to city buildings, inventory and contents, and some costs of cleanup (such as sandbagging and environmental hazard removal). However, NFIP policies may only pay actual cash value for damaged items, meaning they will not cover the full replacement cost of the structure and contents. In addition to NFIP coverage, all governmental properties should be protected by commercial property damage insurance. These should name flooding specifically as a compensable hazard, state which losses related to the flood are covered, and be tailored to the specific needs of each type of building and property under the policy. All causes. After a severe storm, the last thing policyholders want to do is quibble with their insurers over the “exact” cause of the flooding. However, many insurers will deny coverage for damage caused by combined perils, such as flooding caused by water intrusion through a damaged roof. An all-risk policy should cover all forms of flooding, including leaking internal pipes, sewer backup, and rainwater accumulation. These policies may also cover interruptions in utility services, costs of drying and dehumidifying, mold and debris removal, and replacing HVAC equipment. Building upgrades. Standing water can ruin a building’s foundation, doing further damage to structures that are already decades out of date. Ordinance and law coverage pays to bring a covered property up to current building codes and local construction ordinances, and may be applied to the entire structure when only a portion of the building has sustained damage. Heavy machinery damage. 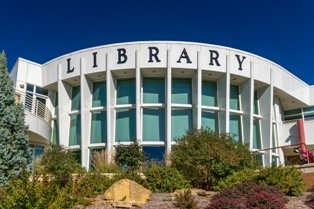 Not all government properties are the same, and the costs to restore the lost inventory of a library will be far different than replacing lost machinery in a public park or recycling center. Extended industrial operations coverage can pay for the replacement of boilers, heavy machinery, and specialty equipment needed to serve the needs of the community. Government vehicles. All government-owned police, fire, school, and emergency vehicles should be protected under a commercial auto policy, including any necessary equipment inside the vehicles (such as GPS devices or dispatch radios). Buildings under construction. Cities and counties regularly add new structures for the benefit of the public, and these must be insured during construction with builder’s risk coverage. Once buildings are complete, they must be added to an existing policy or be protected under a “new properties” extension for limited-time coverage. Business income loss. Business income loss is an invaluable form of coverage that will pay for employee payroll, regular expenses, and added costs for six months (or more) after a covered event. This endorsement also offers extra expense coverage, which can be used to open a temporary location and pay for increased costs of construction. Governmental or municipal tornado insurance claims may be much more complicated than homeowner claims, and policyholders need access to resources in order to rebuild quickly. If you are having trouble getting the insurance coverage you paid for after a flood, the Voss Law Firm can help. Simply fill out the form on this page to get your questions answered by an insurance attorney, or learn more about filing a claim in our book, Commercial Property Owners Must Read This BEFORE Filing an Insurance Claim.